Believe it or not, between the Honey and I, I am by far the bigger football fan. However, I can usually cajole him into watching with me on Sundays for at least a little while by bribing him with game-time nibbles. One of our favorite game-day recipes is also the simplest: these sticky, flavorful, baked barbecue chicken wings. 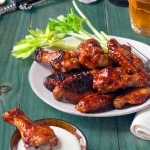 You can really make these delectable wings with any sauce you like, but more often than not we stick with a classic barbecue sauce, slathered generously and baked to perfection. 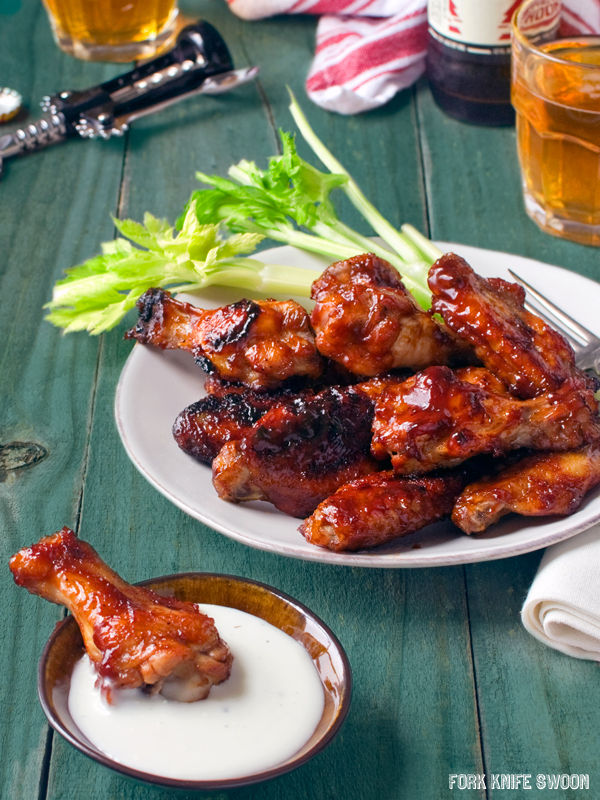 One of our favorite game-day recipes is also the simplest: these sticky, flavorful, baked BBQ chicken wings. Preheat the oven to 400 degrees F. Line a sheet pan with aluminum foil. Meanwhile, in a medium bowl, toss the chicken with 3/4 of the BBQ sauce. Arrange the wings on the sheet pan, leaving space between them. Using a barbecue or pastry brush, brush the chicken with a liberal amount of sauce. Bake for 20 minutes, then flip the wings over, baste with the reserved sauce, and continue cooking for another 15-20 minutes until the wings are cooked through. Serve immediately.